The ONLY Premium 15" CRT??? 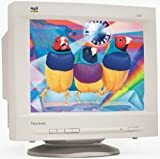 I wanted a 15" CRT for the computer I recently built.I REALLY wanted a good screen, but one that was not too large or heavy.This product actually cost more than some low or medium priced 17" CRTs.Every other, I mean, every other 15" CRT except for NEC's own AS50 had lower maximum and recommended resolutions.That is, the AS500 has a RECOMMENDED resolution of 1024x768 at 85Hz, wheras these stats are other screens' MAX resolution.Most 15" CRTs have recommended resolution of 800x600. 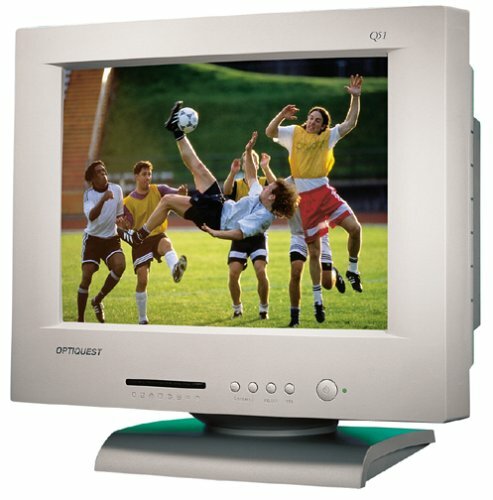 The Q51 is the value leader of the Optiquest line of 15-inch monitors. It is specifically designed for business and home users who need quality performance at a practical price. 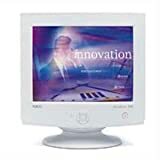 This full-featured 15-inch (13.7-inch viewable image size) display is ideal for complete office automation including demanding word processing, spreadsheets, and data entry applications that are not graphics-intensive. Upgrading to the Optiquest Q51 will add outstanding efficiency and value to your PC or Macintosh system. The Q51's 1,042 x 768 maximum resolution and high 85 Hz refresh rate at 800 x 600, combined with its fine 0.28-millimeter dot pitch assure sharp, crisp images. For enhanced screen sharpness and color intensity, the Q51's anti-static, anti-glare screen treatment greatly reduces reflection, while its flat square screen provides full use of the entire display area. Additional value-added features include up-front digital controls, Invar shadow mask, and plug-and-play operation for trouble-free setup and optimal viewing. In compliance with EPA Energy Star and MPR-II regulations, the Optiquest Q51 in fact surpasses these strict standards for reduced emissions and energy consumption. Backed by a three-year limited warranty, the Q51 delivers all the quality, performance, and value you've come to expect from ViewSonic. Remember with buying FLAT LCD monitors, the VIEWABLE space is as advertised, while a 17" CRT (normal) monitor actually only has 15" viewable despite being advertised at 17". I thought 15" would be too small, but it's a lot bigger once you actually use one and sit in front of it. The words "less is more" couldn't ring truer for this monitor. The very thin frame makes the picture look larger, and as an added bonus, the power supply is built in (no brick) with the signal and power cords neatly stowing away through the hole in the stand. Very low profile, you will be able to use your desk again. Picture quality is good, and make sure to turn on your "ClearType" in Windows XP. There is very little "ghosting" effect on the screen, and I am able to play games effectively. The only bad part is that the swivel is rigid and a bit hard to adjust, unlike the display on the new table lamp iMacs. The bottom line is, once you go flat, you won't go back. 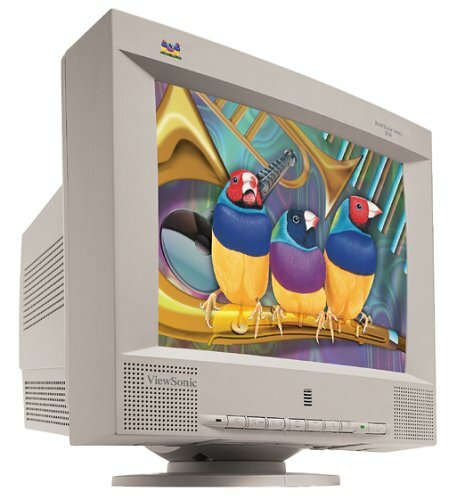 The best flat panel I've used!!! Flawless! Whether you're a regular PC gamer or just like listening to Internet radio while you're working on your latest spreadsheets, the HP Pavilion F1503 fits the bill. Including two external five-watt Harman Kardon speakers and a 15-inch TFT active-matrix LCD panel, the F1503 saves space while providing an exceptionally clear visual experience. With an optimum resolution of 1,024 x 768, images are clean and crisp; a 0.297 mm dot pitch and 350:1 contrast ratio provide clear color separation and sharply defined tones, whether you're editing digital photos or simply shopping online. Analog source inputs supply smoothly reliable data transfer, while the anti-glare, anti-static coating insures a clear view under any lighting conditions. Simple onscreen controls allow easy image customization, and the Kensington lock slot supplies additional security via an optional cable. The one-year warranty covers parts, labor, speakers, and the backlight. 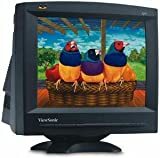 This Monitor is Outstanding!! I really love it! Got it in a Computer Package from "Best Buy". Saves room on desk,very bright, great for Photo Editing! 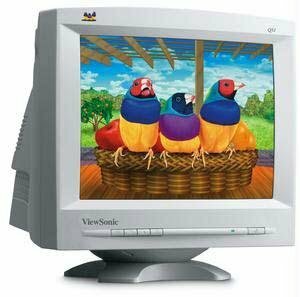 Will never own another CRT Monitor. Get this,you won't be sorry!! Got the f1503 bundled with our Christmas computer.Super mobility, great clarity.No problems with display as stated by previous reviewer.A great space saver, while at the same time a stylish and high quality product. The E55 from ViewSonic is a 15-inch (13.8-inch viewable image size) CRT monitor with a crisp onscreen image and an affordable price tag. 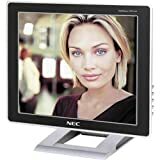 With a 1,280 x 1,024 maximum resolution (1,024 x 768 recommended, and the maximum resolution for Mac) and 0.24 mm horizontal dot pitch, graphics are clear and accurate, while the anti-glare, anti-static screen coating cuts back on harmful reflections and the resulting eye-strain. With onscreen menus, you can adjust a wide variety of user controls, including contrast, brightness, H/V size, H/V position, pincushion, trapezoid, pin balance, parallelogram, rotation, moiré, ViewMatch, language. 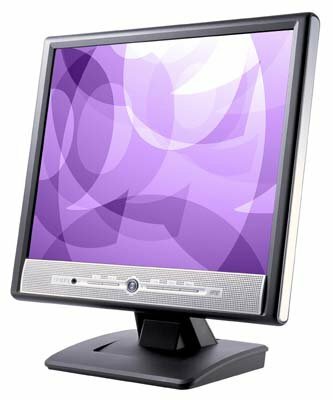 Perfect for small desktops, the E55 has a 14.2-by-15.6-inch footprint and weighs 24.7 pounds. It supports RGB analog input signals through its 15-pin mini D-sub connection, while plug-and-play compatibility makes setup quick and simple. Its AC 90-132V/198-264V (auto switch), 50-60 Hz power supply consumes about 75 watts of power and meets MPRII and Energy Star standards. PC and Mac compatible, the E55 also comes backed with a three-year limited warranty on parts, labor, and tube.